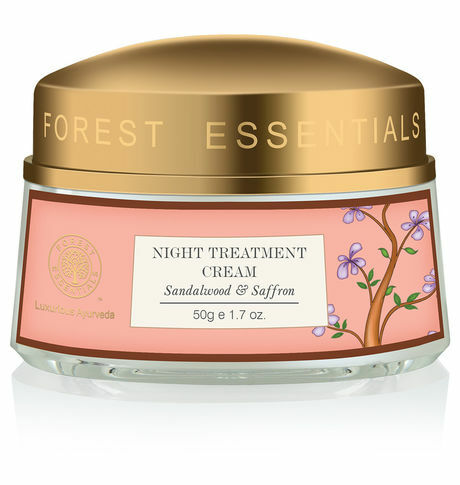 A unique night treatment formula which blends the pure oils of Sandalwood and Saffron to nourish Normal to Dry skin types. This formula has a corrective and preventive action, retaining firmness and radiance. It has an exceptionally high oil content to provide extra nourishment. These intensive night treatments encapsulate high performance herbs, enzymes and hydrators to deliver vital nutrition to the skin. Sweet Almond oil with its potent herb blends is a source of anti-oxidants, neutralizes free radicals that damage the skin and accelerate the aging process and is also moisturizing and skin rejuvenating.